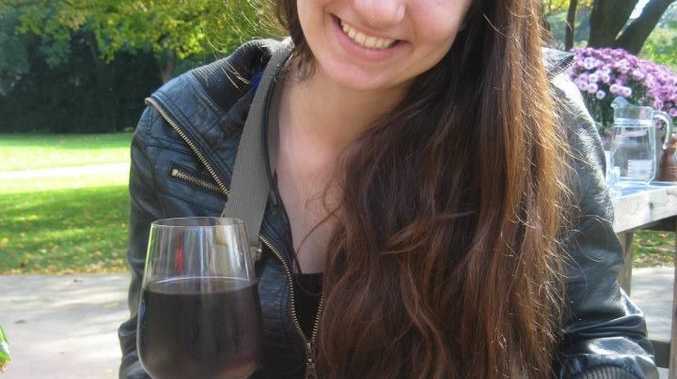 Jessie Gretener enjoying a sauser in Switzerland. IMAGINE walking down the streets of a childhood fairy tale. Old cobble stone roads embossed with green moss, leading past pink and yellow cottages; crooked and cute from the 1400's. Tiny bridges and crumbling tunnels leading you to enchanting courtyards. A clock tower that once strikes 12, the bells ring. Of course fireworks and a carpet of lights thrown then into the last chapter of the tale. In Chur that is exactly what you will find, located in Switzerland. To find this fairy tale village I took the train from Zurich, which was a one hour journey. On its way it passed lakes filled with swans, mountains stretching for the clouds and a castles nestled among the mint green grass. Already the fairy tale was beginning. Once I arrived, I was greeted by the bells of all three clock towers that looked over the village. Every 15 minutes the people of Chur are treated with a performance from the bells usually lasting a couple of minutes, although on Sunday they can last up to 20 minutes. From the apartment I was staying at I could look out over the village, seeing every home and chimney in sight. To top it off, snow tipped mountains sat around the village, and in the close trees a squirrel wandered about. The sights of Chur are easily accessible by foot and the most spectacular places were usually found by accident. A 2 minute walk from the village centre leads you to Arcasplatz which is the oldest part in the village. The buildings date back to the 1400's looked like they were straight out of Hansel and Gretel. The sides of the buildings are illustrated with all sorts of drawings, representing different time periods and the people that lived there. The buildings themselves were crooked and made from all sorts of old material, patched in places and put colours of pink and yellow everywhere you looked. After finding a small tunnel, I wandered through finding a crumbling, old courtyard covered in ivy and moss. It had a small iron chair in the corner, suitable for a princess. Walking under many more crooked bridges that led over the small alleyways and curly lights hanging off the building you really felt like you were meant to be wearing a ball gown. The cobblestone that covers the pathways gave me the expectations that horse and carriage were going to come. The ivy and vines that crawled up the walls were like a wall of Sleeping Beauty's castle. The bank bolted up by heavy wood and iron doors created a medieval image about it. The little cottages that spread out over the hills gave the impression that you may be able to find the seven dwarfs in them. The clock tower hovered over steps that could off held a lost glass slipper. Even the rubbish bins looked like they had been plucked straight out of a castle turret. Parts of the old wall can be found that used to protect the villages from outside enemies. During a dinner of local delicacies, bangs shook the building. Curious after a few more off the loud noises, I took a look outside and discovered fireworks lighting up the sky. The purpose of them I don't know, though I am going to believe they were for me welcoming me to Europe and beginning my amazing adventure ahead. I raced up to the top of the Rosenhugel mountain on which I was staying, up through the towering trees and getting attacked by the cold night air. My jaw hit the floor as I looked over the city of Chur, a blanket of lights with snow tipped mountains in the background. I sat dazzled by its magical quality, on a huge water fountain surrounded by hundreds of purple and pink flowers. A perfect day and start to my journey of lifetime.